A Cool Diesel Sheep, dressed with leather jacket and denim, will be the brand’s ambassador for its new Winter Holidays Global Campaign, “Say No To Uncool Wool” created by Publicis Italy. 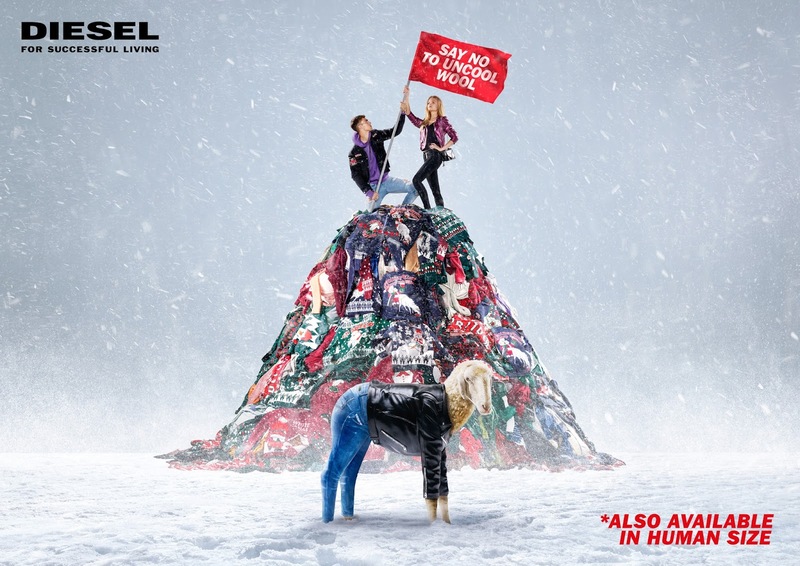 Irreverent and colorful sheep mannequins, dressed with clothes tailored to perfection on their odd shapes and sizes, will pop up in Diesel Stores all around the globe while a set of videos will convey the message on the digital sphere. So watch out, Ugly Wool Sweaters lovers: this winter, sheep will be dressed cooler than those who wear their wool. But don’t worry: as the campaign’s tagline kindly reminds us, all the items you’ll see on the sheep will also be available in human size.